The NOAA climate summary for June 2015 was released this morning. It shows that for the nation as a whole, this past June was the second warmest on record (after June 1933). You can read the summary information now at http://www.ncdc.noaa.gov/sotc/summary-info/national/201506. The full report will be released on July 13. 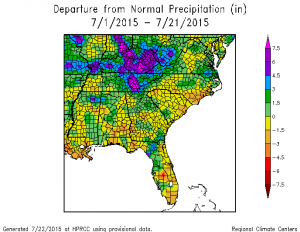 The Florida Climate Center has released their monthly summary for June 2015. 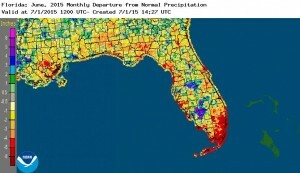 You can find it at http://climatecenter.fsu.edu/products-services/summaries/climate-summary-for-florida-june-2015. 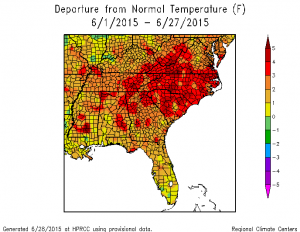 You can read the latest summary of climate information for June for North Carolina at http://nc-climate.ncsu.edu/climateblog?id=140&h=5666e5c1.